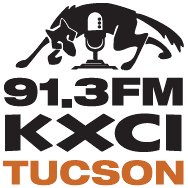 KXCI community radio (91.3 FM on the dial) is now in their annual spring pledge drive, hoping to raise $100,000 to keep their radio show ongoing in the Tucson community. They have a very diverse programming including international music from all over the world. And with only 4 paid staff, they rely on numerous volunteer disc jockeys. They advertise themselves as “commercial free, local and national music and public affairs 24/7”. I know many of our Blog for Arizona readers listen to Amy Goodman’s “Democracy Now” show weekdays at high noon. This morning I was a guest on their Saturday morning “Mele O Hawaii” 6 to 8 a.m. show hosted by “local haole” John Putnam from Honolulu. Unfortunately John was sick today so another KXCI host Jimmy D. was on the air in his place. We did an hour “talk story” about Hawaiian music, which I love, having been born & raised on the Big Island of Hawaii. 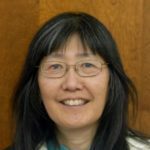 I asked the listeners to “please kokua (help)” support this wonderful radio station by pledging any amount. Call 520-623-1000, or go online to www.kxci.org to show your support. This morning I also put a plug in to host Bob Diaz, who hosts Chicano Connection, Wednesdays 8 to 10 p.m. And I also mentioned that my professor husband shared one of his poems once on “A Poet’s Moment” on KXCI. Please support this valuable resource in our community. Mahalo nui loa (thank you very much). KXCI still asking for pledges for their spring membership drive. Jimmy D is online again on Mele O Hawaii, as John Putnam is still sick. You can donate online at http://www.kxci.org. Last Saturday we did not know that Uncle Ernie Menehune had passed away on Thursday. R.I.P. Uncle Ernie, who used to perform Hawaiian music at Kon Tiki restaurant in Tucson. Done! I manage our company’s operations in the Southwest, Rocky Mountain, and West Coast area and there is no station like KXCI anywhere. Though it’s nice when the rental car has satellite radio. Then it’s BB King’s Bluesville! Thanks Wileybud for your pledge. 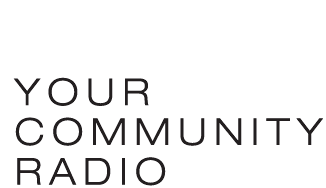 KXCI does provide a much needed service in our community of diverse musical selections and public information.